Garuda takes its name from an Indian mythological sacred bird that can change shape according to its function. It’s inspired a more intelligent and intuitive way to exercise the body. 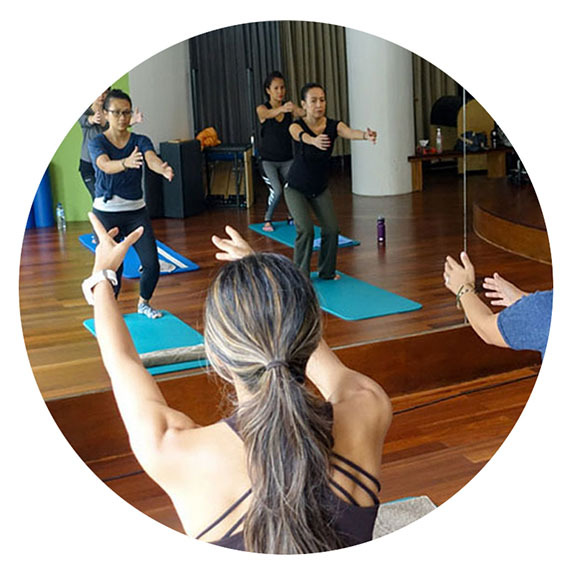 Combining the spirituality, pranayama and asana practice of yoga, the core strength and focus of pilates and the balletic grace of dance, the Garuda method is the answer to many people’s quest for a stronger, more flexible, toned body. It has all the benefits of a robust cardiovascular workout, while stretching the mind as well as the body. Garuda is a test of mental strength as well as physical, demanding total concentration during the exercises.